The Pelly family owns a 160-acre (64.8 ha) woodlot in Antigonish County. They visit the woodlot four or five times a year, mostly for recreational purposes. A small cabin provides a comfortable haven when they make the journey from their home in Halifax. Peter and his spouse Ellen enjoy the solitude that the old farm property provides. As a direct descendent of an Acadian family that settled in this area in the 1790s, Peter has a strong interest in his heritage. Ellen is also of Acadian descent. Their daughter Ann-Eve has indicated that someday she would like to live on the old home place. The Pellys are a busy family. Peter and Ellen both work full-time in the city and Ann-Eve is a high school student that is active in a number of sports. It is a refreshing break from the frenetic pace of life when they visit the old farm. Their weekends at the old home place are always more poignant when they visit the tiny cemetery of three headstones that is not far from the camp that Peter built in the 1980s. The eroding sandstone and the slowly vanishing names remind them of their connection to this plot of land. Well-managed woodlots contribute to healthy landscapes. The Pellys most enjoy visiting the property in the spring, when brook trout season has been open for a couple of weeks and dog-tooth violets line the ditches of the road. At that time of year, a few patches of snow clung in the shadows, and everything has a vibrant smell, like the winter had cleansed the earth. During the fall, Peter often stays at the cabin for at least a week. He has harvested a buck in the old orchard most years, and always collected a bushel or two of the apples to take home afterward. In the few times that they had visited the property during winter, the Pellys were pleasantly surprised to find that the old roads made ideal cross-country ski trails. In late February they often tapped a few of the sugar maple trees lining the road and made small batches of syrup. With the old fields reverting to forest and some areas of the woodlot showing signs of wind damage, Peter had tried to clean up any trees that had fallen, but the job had gotten too big. The woodlot was getting away from him, and visits of two or three days was never enough to do what had to be done. The Pellys weren’t sure what to do next. Their enjoyable visits had begun to turn into task-filled weekends with little time for sitting back and relaxing. Spruce beetle can cause mortality in white spruce trees. After speaking with a friend that commended the benefits of belonging to a local woodlot owner organization, Peter decided that this might be a good way to get some solid advice. He phoned a representative of the association, who told them that a woodlot management plan would be the best place to start. The cost of a few hundred dollars seemed like a small price to pay for good guidance. A Certified Forest Technician met them at the woodlot on their next visit. Francis told them he had written over one hundred management plans for woodlot owners in eastern Nova Scotia. His education and experience were apparent as he easily discussed the options that the Pellys might wish to think about. 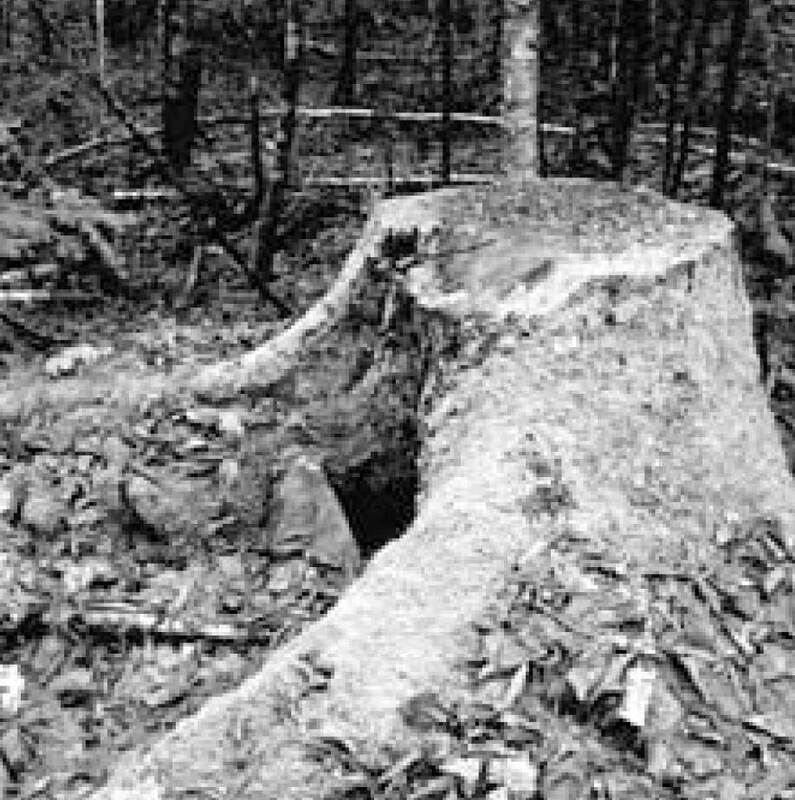 From the time Francis started talking, the Pellys were convinced they had made the right decision in contacting the woodlot owner association. Of primary importance in planning, Francis said, were the Pellys’ goals and objectives. If these were realistic, there would likely always be a way forward. Initially, Peter and Ellen found it difficult to think of long-term goals. Most of their visits to the woodlot were spent getting everything done that needed to be done – like repairing the door sill of the camp, or clearing up the trees that had blown down across the road, or replacing that gravel that always seemed to be running off the road. How could they think long-term, when there was so much that needed to be done? Francis explained that a management plan would ease the concerns that seemed to be a constant source of anxiety. Having long-term goals, he said, would help prioritize the tasks that needed to be completed in the short-term. He was right. From the moment they asked Francis to complete a management plan for the woodlot, the Pellys had a sense of purpose and organization. The Pellys started to think about what would be realistic goals over the next ten years. With Ann-Eve intent on attending university soon, their aim was to generate $5,000 from the woodlot over two years. They also wanted to do what was best to keep the woodlot healthy and productive. Peter wanted to retain his hunting opportunities, while Ellen was always pleased with the firewood they were able to use during their stays at the camp. As they set off to find the boundary lines, Peter reflected on the fact that he had not maintained the lines in years. Fortunately, they found the four corners after some searching. A sunken barbed wire fence formed two of the lines, and old tree blazes marked the remainder. In some places the wire was below the ground. As they walked through the woodlot, Francis pointed out many things that had escaped the Pellys’ attention. He discussed the spruce beetle that was slowly killing the spruce in some areas of the old fields. Francis used an instrument called an increment borer to show the Pellys that the growth of the spruce had decreased markedly over the last five years. Later, using the borer, he took core samples from balsam fir that dotted the lower slopes of the hardwood ridge. Here they could see rot beginning to form near the center of nearly every tree. The Pellys realized that there was more to woodlot management than met the eye. 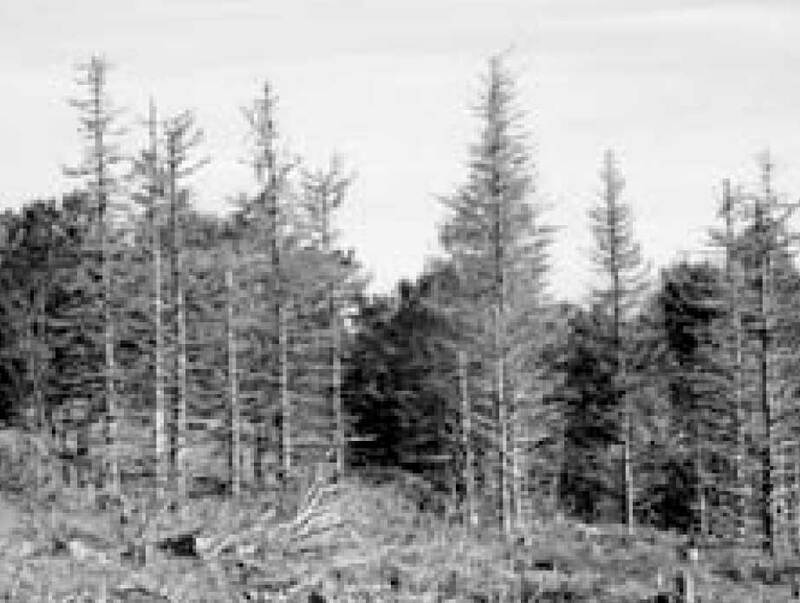 By harvesting some of the fir and spruce in a timely manner, Francis explained, the productivity of the woodlot would be maintained as natural regeneration became established. Thinning stands as they matured would increase growth and maximize yield. Other, uneven-aged stands could be managed by selection harvesting. Careful selection harvesting will leave the forest floor intact. 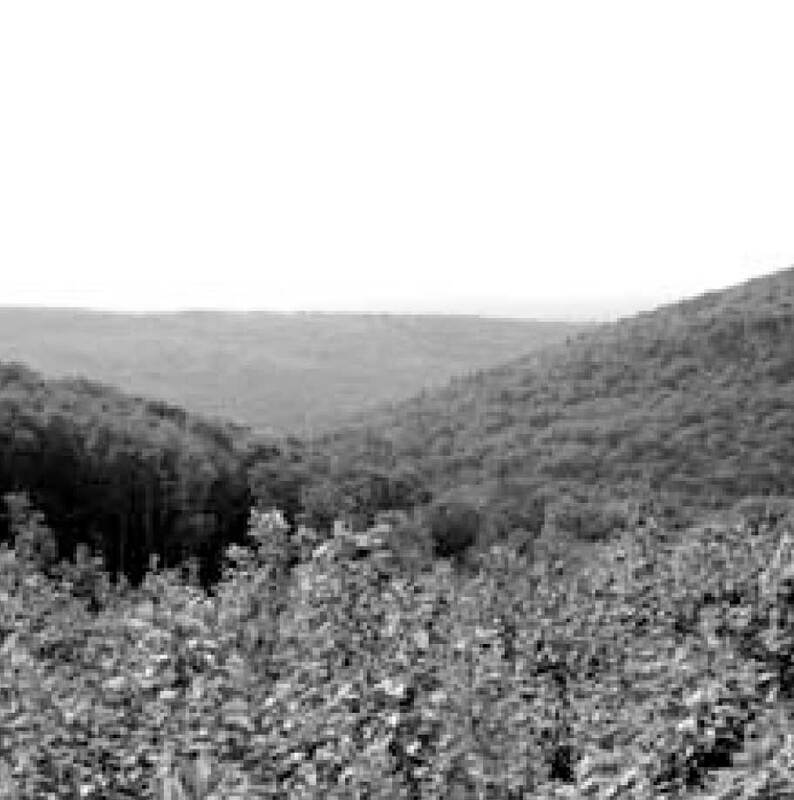 Peter grinned as they stepped through the hardwood stands on the ridge near the rear of the woodlot. This was a place he always loved to visit, especially in the fall when he could smell the rich fragrance of the earth as the trees surrendered their leaves for the winter. This was an area he’d like to leave alone for now. Maybe his great-grandchildren would experience the same feelings as they walked here. Now that would be something. With the help of an aerial photo, Francis led them to a sheltered stand of softwood. Here, large hemlocks and Red spruce stood towering over patches of younger trees. Tiny seedlings formed green carpets here and there, and two barred owls – gray as the stones in the graveyard – glided away among the trees. Here, Francis said, they could remove some of the trees, creating openings in the canopy that would allow sunlight to reach the seedlings. To keep from disturbing the owls that were obviously nesting here, they would leave 100 meter buffers around any nests and complete the forestry work in late summer or early fall. Back at the camp, Francis indicated that a management plan can be flexible if the woodlot owners change their minds, or if other circumstances change. One of the real values of a plan, he stated, was that it is a document that can be shown to contractors or others, so that there are no misunderstandings about proposed activities. The management plan was finished two months later. It indicated the Pellys’ goals, and listed objectives that were needed to achieve those goals. Together with an aerial photo and map of the woodlot, the plan had tables of stand descriptions and recommendations. It described the condition of the boundary lines and where a new road should be built. It even had a few pages near the back where the Pellys could track their progress over the next ten years. When the time came for the plan to be revised in five or ten years, Ann-Eve would have more input. For now, Peter and Ellen – with their goals and objectives established – knew where to start. They knew that it would be for future generations to decide whether they had done their work well. 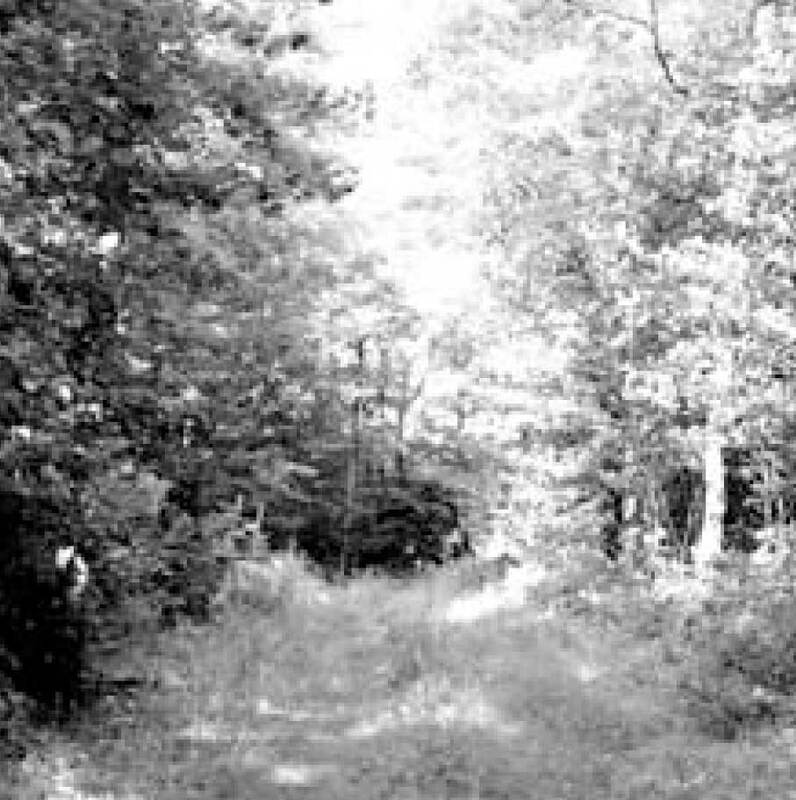 Old woodlot roads provide good opportunities for both recreation and future management activities.